CLEAN TITLE!! LOW MILES! 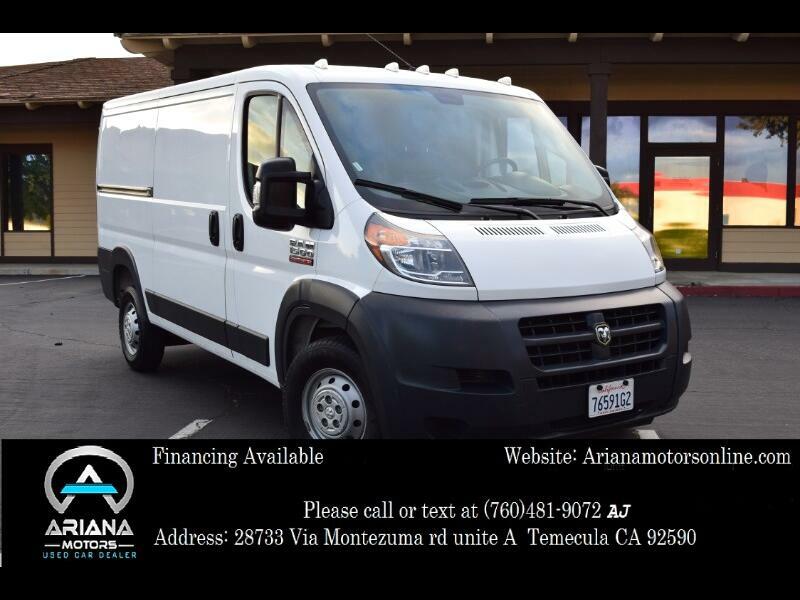 2017 Ram Promaster 1500 Low Roof Tradesman 136-in WB, 3.6L V6 Engine, Automatic Transmission, Clean Title with 27,365 Miles. This RAM is absolutely beautiful with its White exterior and Black Leather interior. It’s equipped with Integrated Turn Signal Mirrors, Privacy Glass, Tire Pressure Monitor, Brake Assist, AUX, AM/FM Stereo, Bucket Seats, Keyless Entry, MP3, Power Doors and Windows, Stability Control, Air Bags, Transmission w/Dual Shift Mode, Tripe Computer, Variable Speed Intermittent Wipers and many safety options. Call today for financing options or with any questions. Manufacturers’ Warranty includes 3 yr/36,000 mi basic, 5 yr/60,000 mi powertrain.